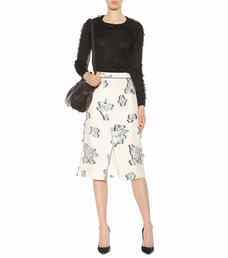 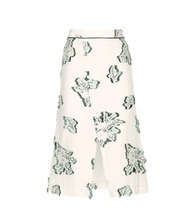 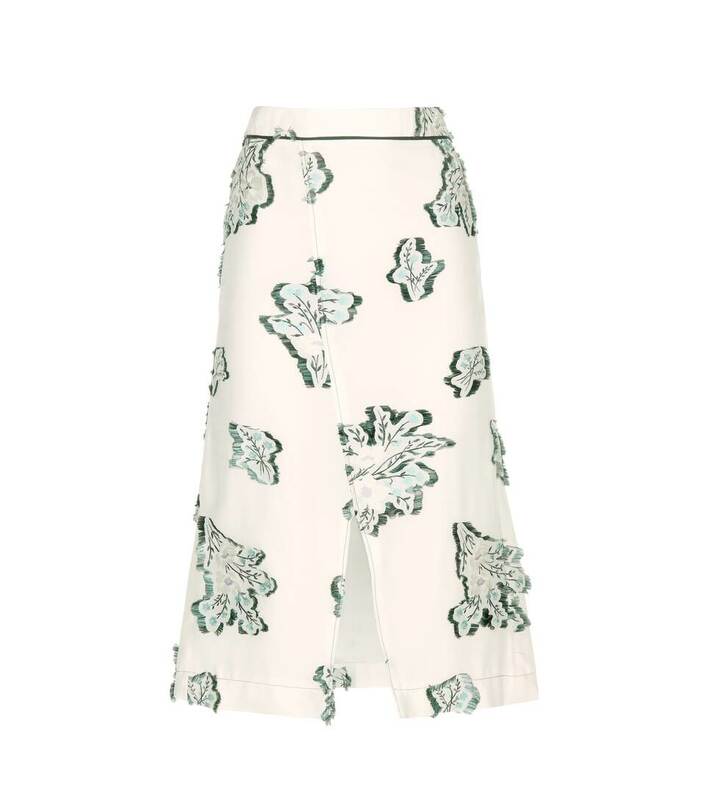 This skirt from Nina Ricci is a stunning alternative to the season’s floral prints. 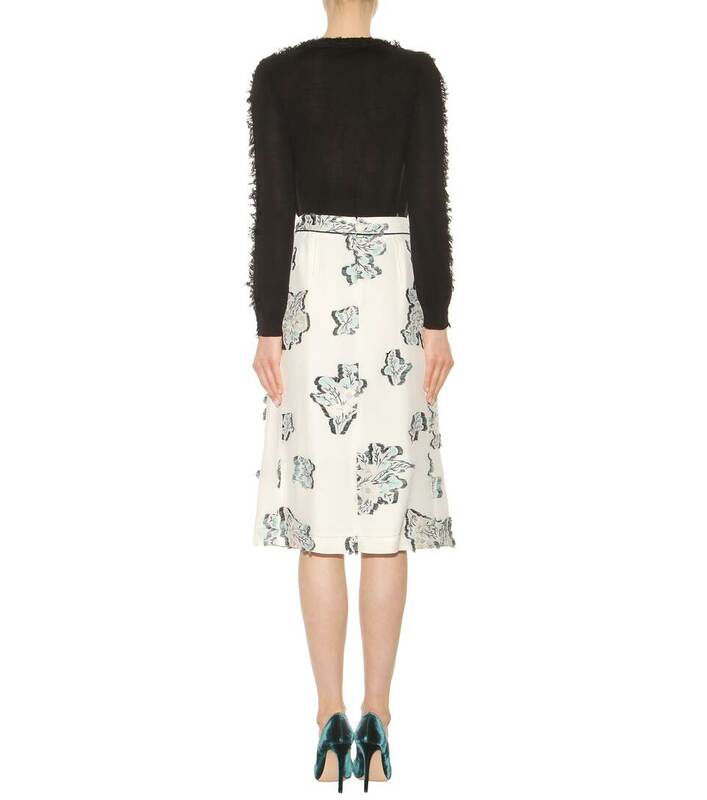 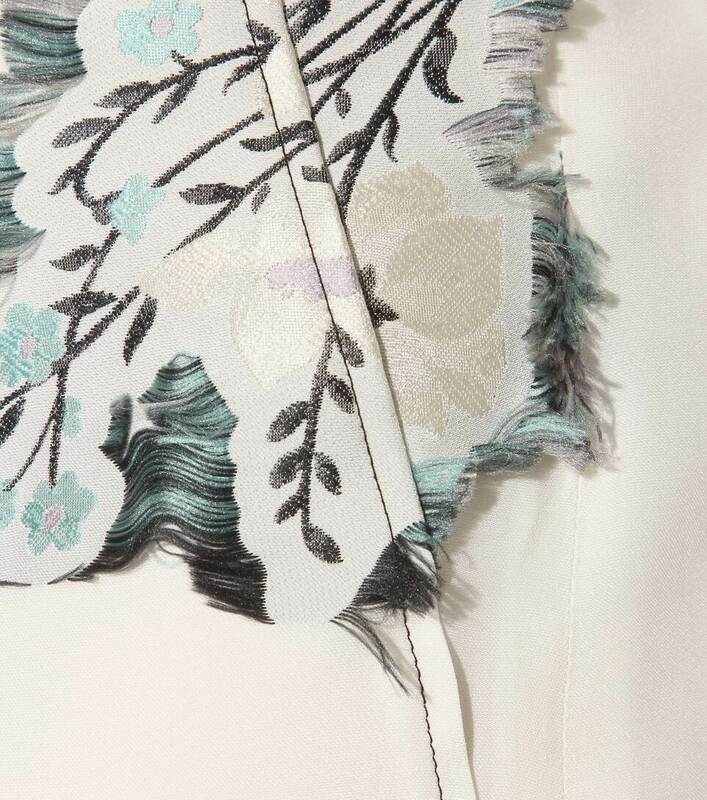 The flowers on this skirt are embroidered for an intricate and more artisanal effect. 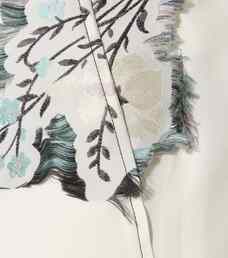 A wrap-esque design and central slit add an extra dimension to this super-stylish piece.